Depending on which routes you take, the Great Loop will put anywhere between 5,000 and 7,000 miles under your keel. Depending on your vessel, the full loop can be completed in as little as two months. 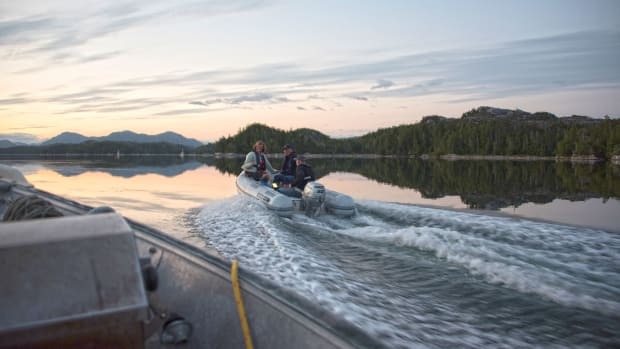 But for most of us, the excitement of embarking on the Great Loop is not just crossing off a bucket-list item but fully experiencing the many ports, bays, anchorages, marinas, towns and historical sites on your journey. The beauty of this route is that your unique experience is shaped by the choices you make along the way—where you stop for the night, where you choose to make a side trip, how long you spend in a given port. As the Great Loop continues to gain popularity, however, it is easy to get pulled into a “default” Great Loop route, one that includes the most practical stopping points for your schedule and mileage plus the “classic stops” and “can’t-miss sites” that appear in various blogs and cruising guides. 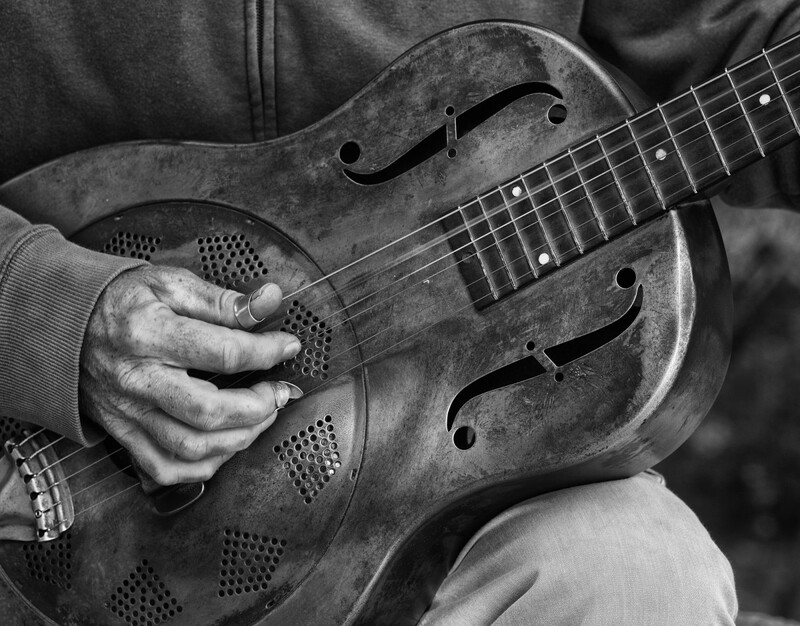 Since we know our readers tend toward the unconventional, we reached out to a number of experienced Great Loopers to find some gems “off the beaten path” (or whatever the nautical equivalent of that expression is). 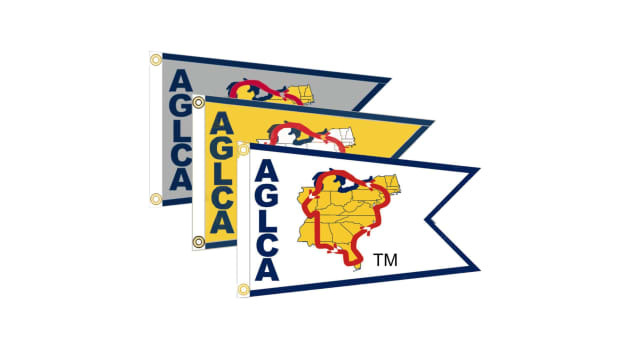 Special thanks to Maridee and Mark Sandridge, Wendy and Bobby Wilson, Forest Schucker and Susan Wilson, and Kim Russo, executive director of America’s Great Loop Cruisers’ Association (AGLCA). Just around the corner from the opening of Lake Huron into Georgian Bay lies the Bruce Peninsula National Park. The Grotto is a pool of crystal-clear water in a naturally carved out cave. 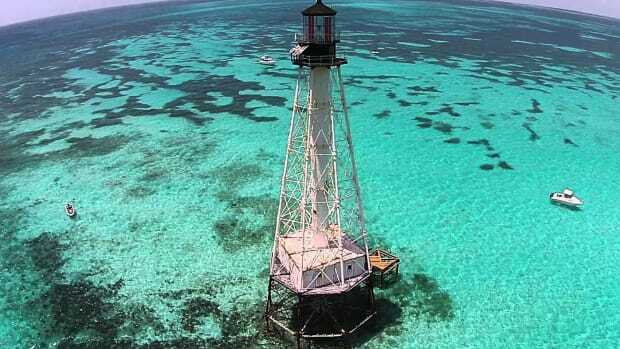 While it is popular with local shoreside visitors, it is also accessible by boat and makes for a great day stop. A mooring ball can be found in front of The Grotto or you can always anchor or raft. However, due to its exposure, it isn’t recommended for an overnight stay. For the Wilson family, it was the perfect place to stop with their four kids to swim and explore. 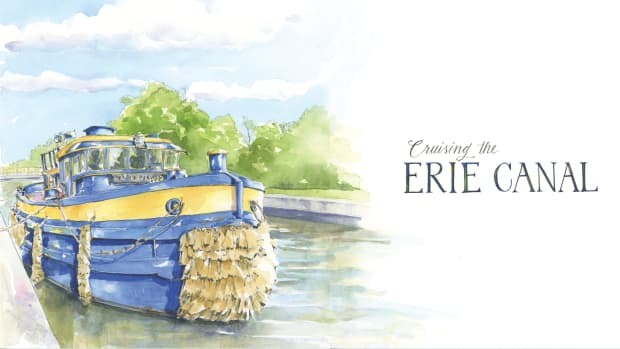 Heading all the way into Lake Erie is a path less chosen along the Great Loop, but should you opt to experience the entire length of the Erie Canal, it’s where you’ll end up. Located on South Bass Island, Put-In-Bay is just north of the Wilson family’s home port of Sandusky, Ohio. Put-In-Bay, according to the Wilsons, is the Key West of Lake Erie. 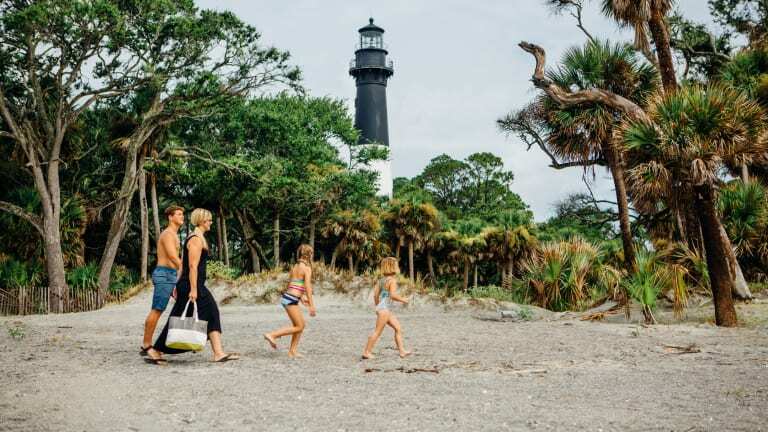 With a Caribbean feel, South Bass Island has caves to explore, the world’s largest geode and one of the few wooden roller coasters left in the country. 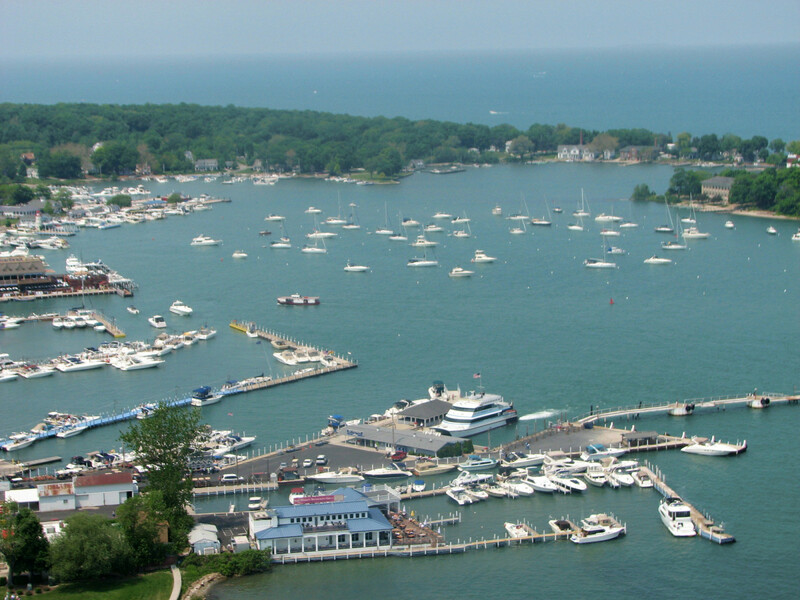 Put-In-Bay offers moorage right in the middle of town at the municipal marina. This small town, the birthplace of Remington firearms company, is a callback to what once drove industry in towns up and down the Erie Canal. The largest of Remington’s two manufacturing plants is still located there. This is the quintessential manufacturing town along the Erie Canal, one of few that still is driven by industry. Schucker and Wilson identified this stop as their favorite along the Erie Canal. They ended up staying a week due to high water and never ran out of things to do. 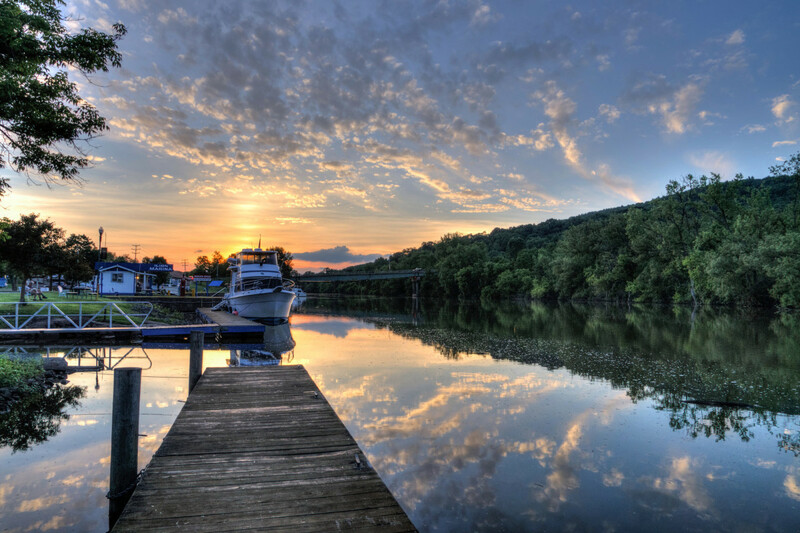 The greater Herkimer County area offers a variety of attractions and historical sites worth visiting to get a true taste of central New York. According to AGLCA’s Kim Russo, Columbus is the perfect stop for pure Southern charm, comfort and living. 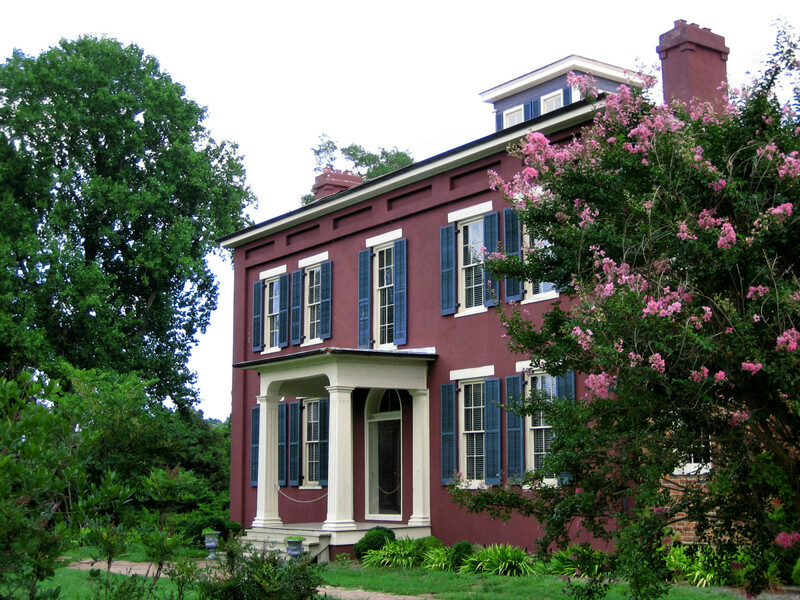 The birthplace of quintessential Southern playwright Tennessee Williams, Columbus also has a deep blues heritage and plenty of picturesque and historic homes. You will want to tie up and rest a while, drinking in the deep Southern culture and wandering along the beautiful waterfront. The St. Johns River is a place most Great Loop travelers only dip into, stopping in Jacksonville before heading back out to the ICW. But what’s beyond Jacksonville makes the St. Johns River a must-see destination. It is probably better considered a side trip as it dips some 160 miles back south from the river’s mouth at Mayport. 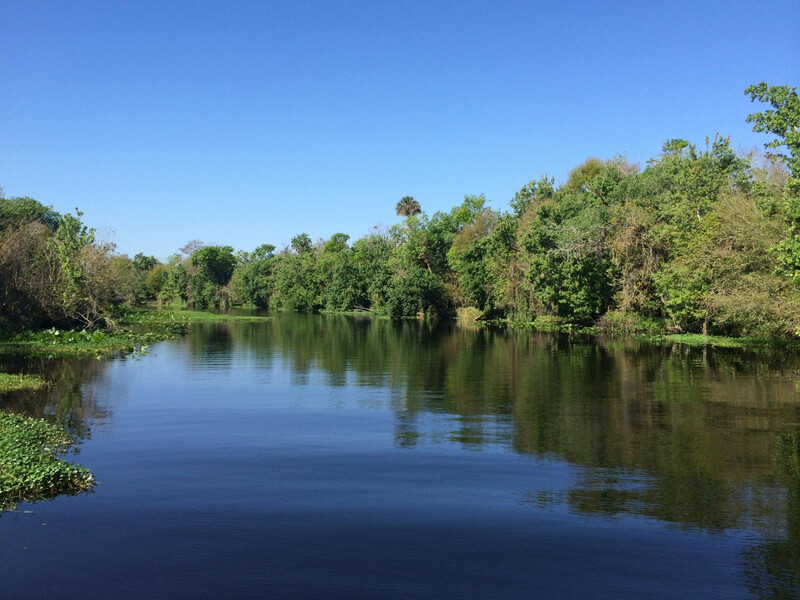 The extra miles are well worth it, as below Jacksonville the river becomes interesting, passing through large estuaries, narrow sections of river and lakes. 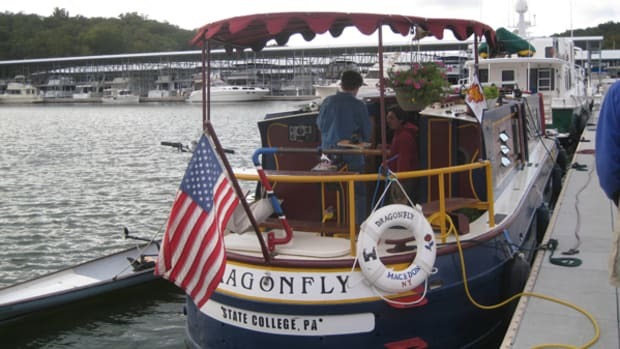 St. Johns is dotted with small marinas, coves in which to anchor and cozy backwater towns. If you make your way to the cruising grounds’ end in Sanford, you will only be a short hop to the attractions of Orlando. But anyone who makes this journey is more likely to enjoy the quite stretches of river along the way than the log flume of Thunder Mountain. Welcome to Lowcountry. 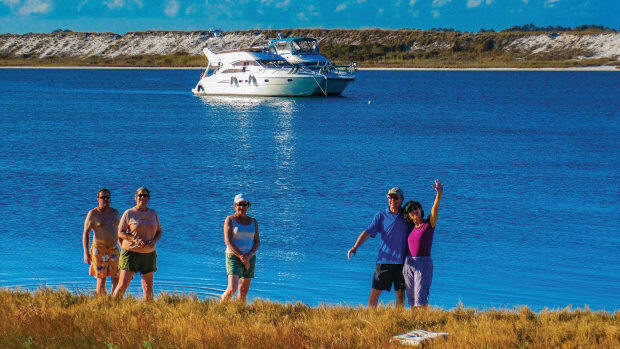 Beaufort is another great suggestion of a Great Loop backwater from AGLCA’s Kim Russo. 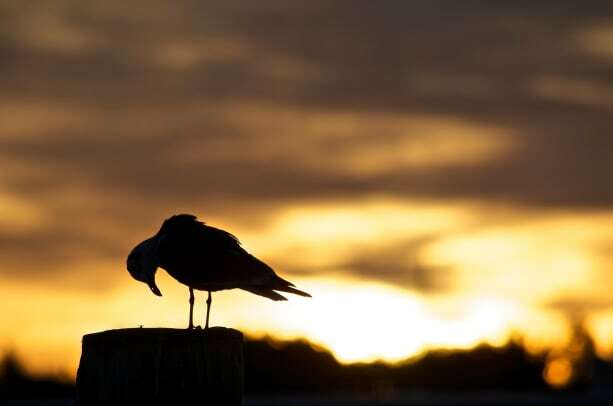 Beaufort is a town steeped in Southern history, with historic homes dating back to the pre-Civil War era, a working waterfront that is part of the Lowcountry Oyster Trail and great Southern cooking. Here, it’s best to stay more than a day or leave your departure open-ended. Take a horse-and-buggy tour to learn the area’s history. Beaufort is home to several great museums and historical sites as well, and the Maritime Center is a must-see. This is South Carolina Lowcountry. It is known for its Southern hospitality, so don’t be shy to ask a local for suggestions on what to do and where to eat. 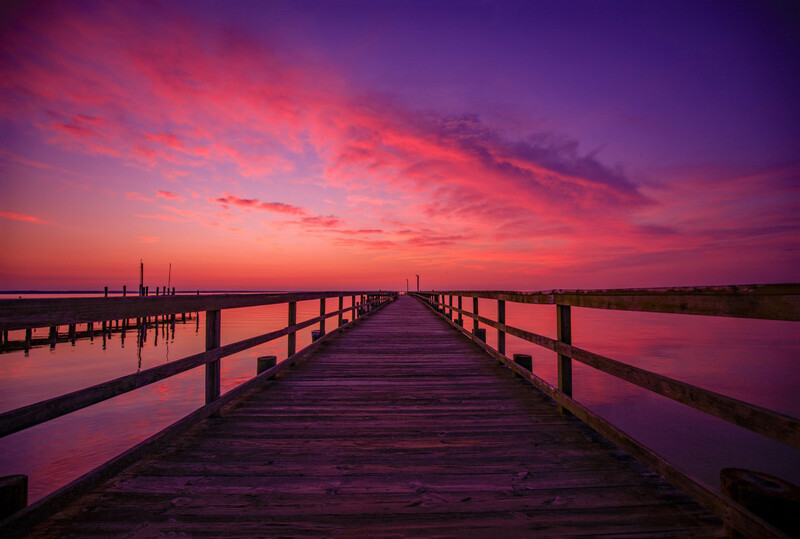 Maridee Sandridge shared Cobham Bay, another actual backwater up the James River just inside the mouth of the Chesapeake Bay, as one of her favorite stops on the Great Loop. This quiet oasis of an anchorage is just across the water from historic Williamsburg and Jamestown. Your trip up the river will take you past a graveyard for retired naval vessels, which itself is worth the trip. Chippokes Plantation State Park, home to one of the oldest continually farmed plantations in the country, has a museum, an Antebellum-era mansion and formal gardens to enjoy. Sandridge suggests exploring the Chippokes Creek on the east side of the park. The quiet waterway offers classic Virginia forest with slow water, lilies, birds and moss-covered trees. This last gem was recommended by Schucker and Wilson as an ideal place to take in the essence of Chesapeake Bay. It is another destination where you should leave yourself an unstructured departure time to experience it all. 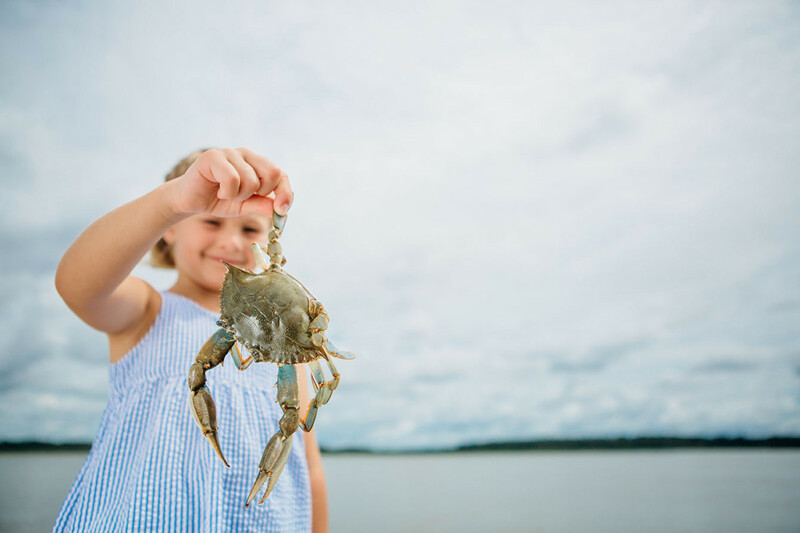 The Tilghman Watermen’s Museum is a must-visit where you can learn about the history of the crabbers and watermen as well as their current way of life. 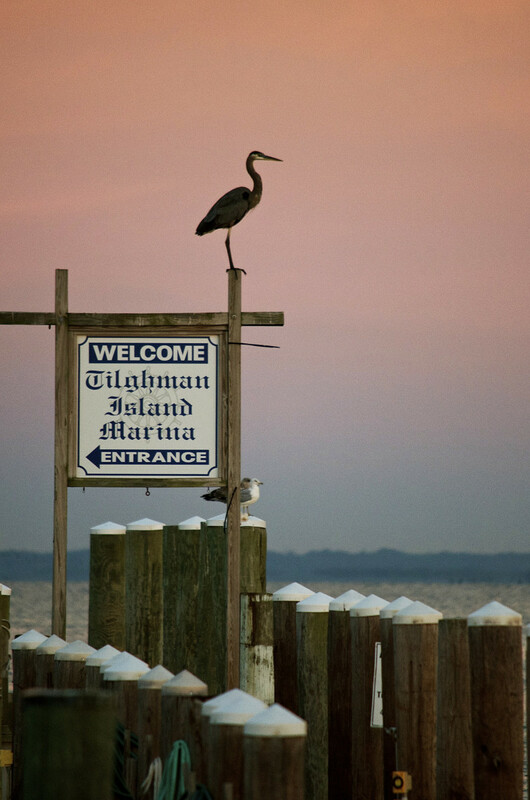 Tilghman Island also offers great food, beautiful biking and spectacular views.